How can I install my e-Commerce Referral template on my Opencart platform? 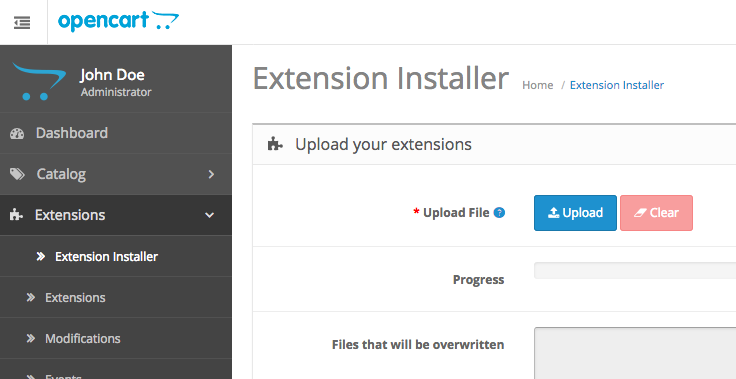 From your OpenCart admin interface, in the left sidebar find Extensions → Extension Installer. Click upload and upload the zip file you just downloaded. Once that's done, from the left sidebar go to Extensions and from the drop-down menu select the Modules extension type. Find Viral Loops for e-Commerce and click Edit. Save the settings and now the Viral Loops e-Commerce widget is live in your store!